Nauticos found no evidence for collision, but this remains a popular theory in the Israeli Navy. Certainly, the bridge fin that we recovered in 2000 showed no signs of impact. For a collision to cause flooding in the bow, one would expect some evidence of damage; however, the bow of the vessel is intact and undisturbed. The site has not been revisited since our 2000 survey and investigations, and there are no plans to return. May the 69 brave sailors of Dakar be never forgotten! 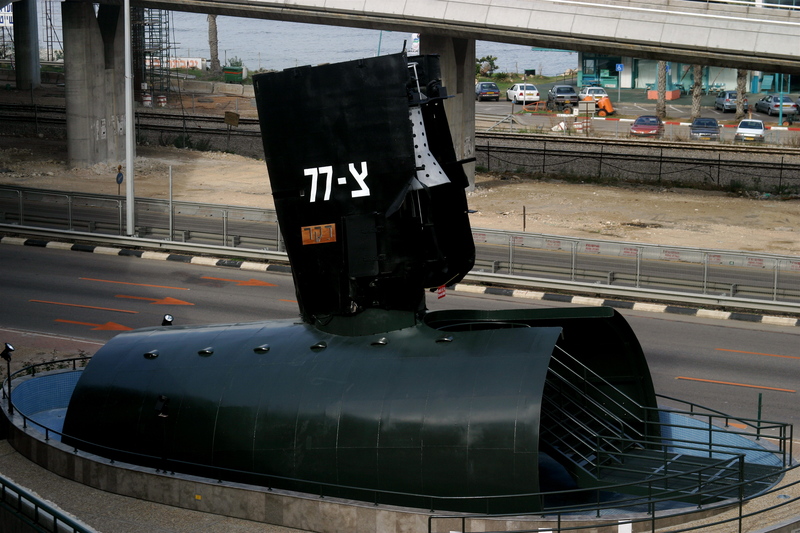 The recovered bridge fin of INS Dakar, on display at the Israeli Naval Museum in Haifa.